Posted on July 24th 2015, in News and tagged New York. 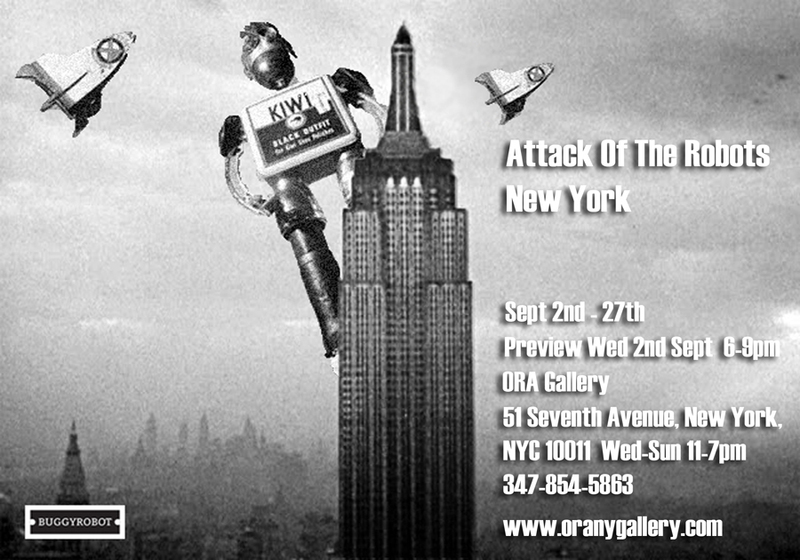 Buggy robot had a sell out show in the Big Apple and put on a show in Manhattan’s ORA gallery . 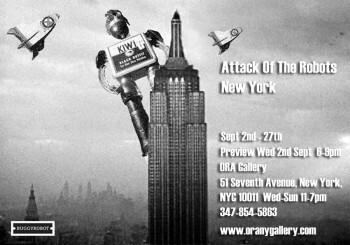 There were 20 robots, posters, prints and projections of my animations and short films.